Naringenin, a flavonoid compound, has a wide variety of uses in the pharmaceutical industry for its antioxidant and anti-inflammatory potential. 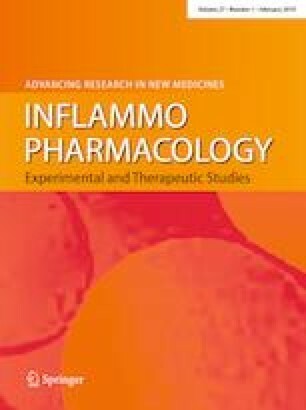 The current experiment aimed to investigate the anticancer effect of naringenin in triple-negative human breast cancer cells (MDA-MR-231) and an animal model with 7,12-dimethylbenz[a] anthracene (DMBA)-induced breast cancer in female rats to determine the mechanisms and molecular targets. The cytotoxic effects of naringenin against MDA-MB-231 cells were assessed by MTT assay. Apoptosis and cell cycle alterations were analyzed via flow cytometry. Morphological and biochemical changes in DMBA-induced cancer with naringenin treatment were assayed using our protocol. The potential mechanisms of action were verified via qRT-PCR. Naringenin was found to inhibit cell proliferation in a time- and concentration-dependent manner. This effect was associated with cell cycle arrest at the G0/G1 phase, along with apoptosis and deposition at the sub-G1 phase (75%). Treatment with naringenin reduced tumor incidence (45.55, 40, and 27.67%) and tumor burden (78.7, 35.4, and 1.2 g) in a dose-dependent manner. Naringenin treatment altered the biochemical and antioxidant parameters related to inflammation necessary for anticancer activity. The qRT-PCR studies further confirmed the mitochondrial-mediated apoptotic effects of naringenin. On the basis of these results, we can conclude that naringenin exerts an anticancer effect in the MDA-MB-231 cell line that arrests cell development at the G0/G1 phase, and in vivo it alters the mitochondrial-mediated intrinsic pathway responsible for apoptosis. The online version of this article ( https://doi.org/10.1007/s10787-018-00556-3) contains supplementary material, which is available to authorized users.